Do you want to give your eager pets organic BellyRubs treats? Then you can now do so at a much lower price! Shop from Amazon and enjoy an additional 15% discount off your purchases with this coupon. Your pet will surely love these treats. You would too as they are offered at a marked down price. The BellyRub pet treat variants that you can purchase from Amazon with the coupon are the 6-inch and 12-inch Bully Stick Dog Treat, 10-ounce Coconut Flakes, and the 2-ounce Chicken Liver Cat Treat Pouch. Put any one of these items in your shopping cart after clipping the coupon and you’ll get the discount upon paying. Note that Amazon is already offering as much as 23% discount on these items. 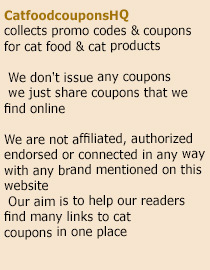 Add the 15% more that the coupon is offering and you are getting yourself a great treat indeed. Not only would your pets enjoy this deal – you certainly will too. Organic pet treats are tastier and healthier. Your pets will definitely love the ones listed here so give them a try right now. After all, you will only to pay as little as $7 for them!